(1) Benzyl alcohol is a good middle boiling point solvent. 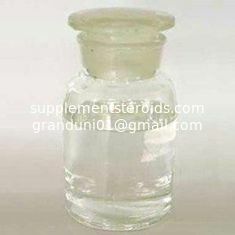 (2) The main applications:paint solvent; ink solvent; plexiglass solvent; photographic developing agent; PVC stabilizer; medicine, synthetic resin solvent; ointment or liquid medicine; solvent for meat products stamp-pad ink and ball-point pen oil. (3)It is used for carpet degreaser; crater cleaning agent; silicone solvent stabilizer; benzyl ester or ether intermediate. (4)Benzyl alcohol is a kind of very useful perfume fixative. It is an indispensable spice when jasmine, tuberose or ylang is mixed, and used to compound soap and daily cosmetics. Benzyl alcohol is used as a general solvent for inks, paints, lacquers, and epoxy resin coatings. It is also a precursor to a variety of esters, used in the soap, perfume, and flavor industries. It is also used as a photographic developer.